So happy to be finally asked to set up a wedding cake at the beautiful High House in Althorne, Essex – what a gorgeous venue! 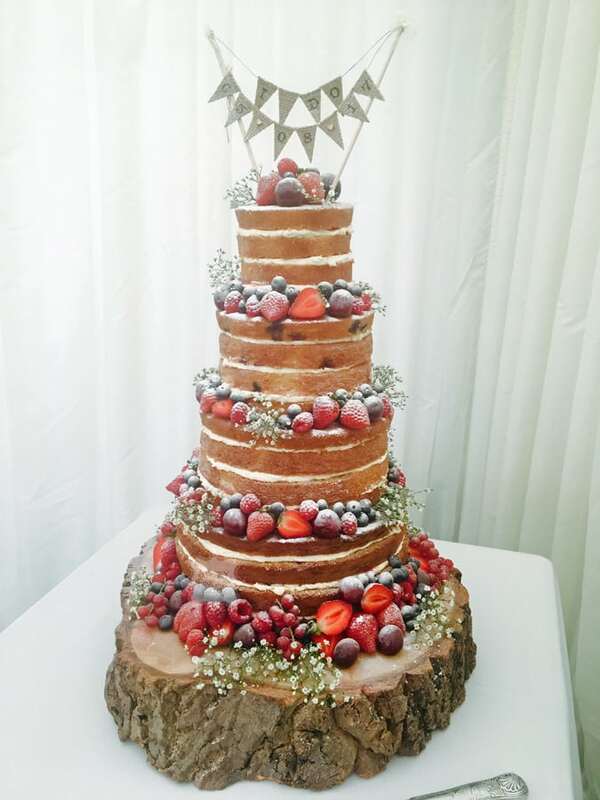 Nikki and James decided to serve their naked wedding cake as dessert and chose some really scrummy flavours – White chocolate and raspberry, cherry bakewell, lemon and blueberry and strawberry & champagne, with a strawberry & champagne cutting cake (just in case they ran out!) finished off with fresh, seasonal berries and a dusting of icing sugar. Congratulations Nikki and James! Wishing you a life time of happiness together.